With its bold design, high-quality interior, powerful performance, and affordable price, a new Ford Taurus has appeal for a wide range of Twin Cities area drivers. As the experts at Kelley Blue Book said, “If you’re looking for a great deal on a big, comfortable 5-passenger sedan, the 2019 Ford Taurus certainly qualifies.” You’ll have to act fast if you are interested in finding a new Taurus for sale in the Elk Lake area, as Ford has announced that 2019 will be the last year this sedan is produced. Explore our new Taurus inventory, then contact us to schedule a test drive today! Why Buy a New Ford Taurus at Cornerstone Auto? Why wait? 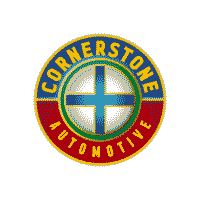 Stop by your local Minneapolis or Plymouth area Cornerstone Auto dealership today!